Scrambling on Table Mountain - Various scrambling routes explained. 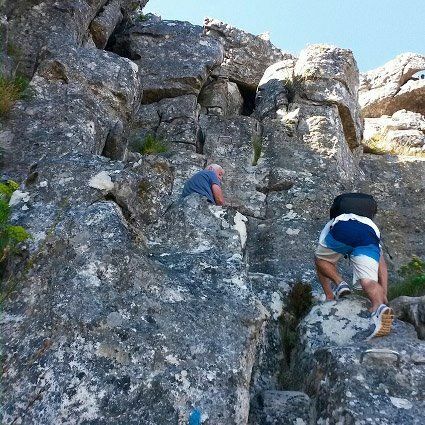 Scrambling on Table Mountain is fun and adventurous, but it is important to know what you are getting into. 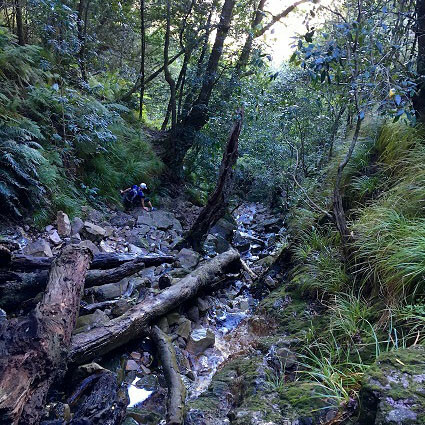 Scrambling is a common term often used when describing many Table Mountain hiking routes. Using your hands to stabilize yourself over small rocks when crossing the rocky river bed. No exposure to heights. We like to refer to this as a minor scramble. An easy climb up a steep rock section, there are staples, and small chains used to aid hikers up the rock face, there is some exposure to heights but nothing too extreme. A slight detour will take you an alternate way using ladders if one does not wish to scramble up the rock face. 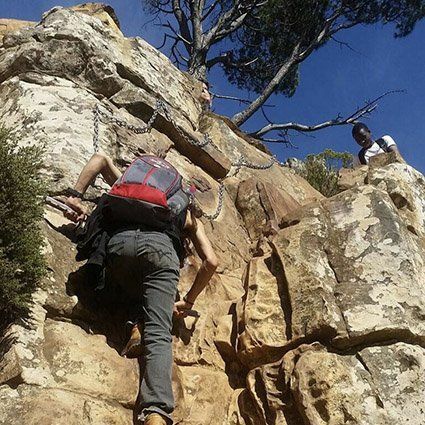 An easy climb over some steep rock faces, using grooves in the rocks or staples installed to aid hikers. There is some exposure to heights here, but nothing too extreme. If you really don’t have a head for heights, it is best to consult with your guide prior to the hike.